For a business which offers customer services, the company should guarantee that the best are given to each and every customer or clients. This does not just increase the satisfaction level of each, but also increases the company’s marketing recommendations from various satisfied clients. Another way to attract the target market or potential customers, advertisement such as distribution of marketing tools like brochures, banners, posters, and/or flyers are prioritized. Indeed, different companies have their own advertisement strategies, but these are not always guaranteed to be successful since they vary on their efficiency and effectivity. 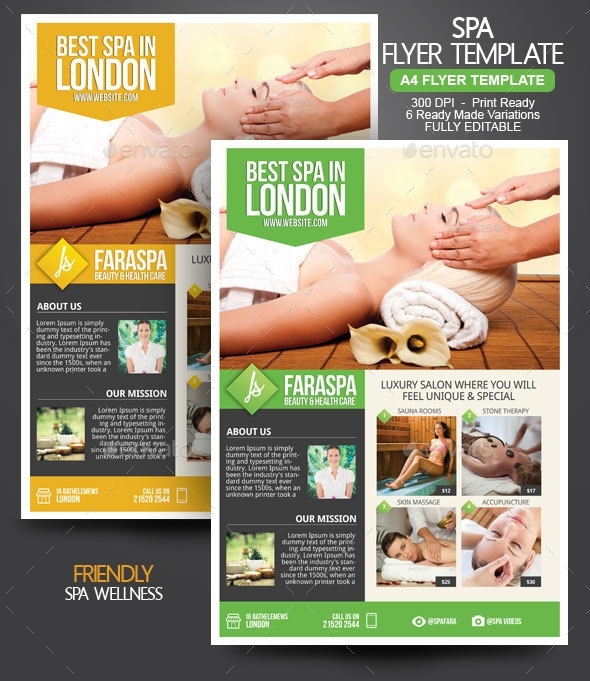 Going further on this article, we have provided you some various Spa Flyer Templates which you can purchase at low costs and reasonable prices. 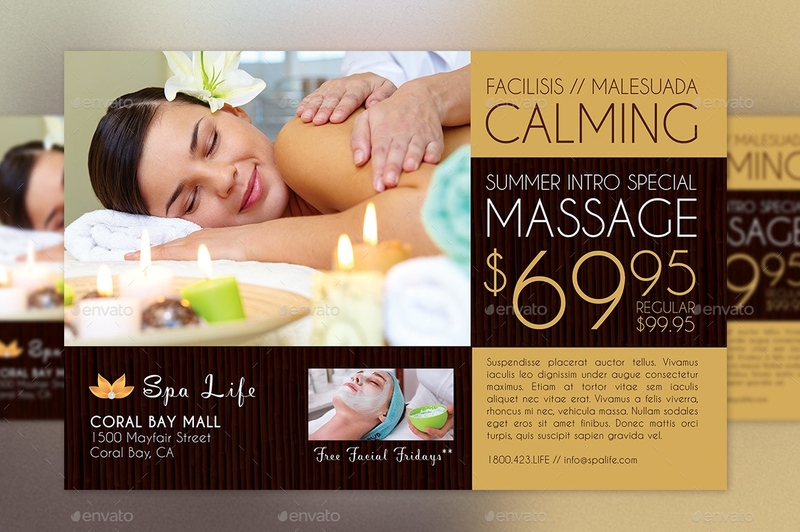 These flyer templates are customizable and editable to whatever your preferred designs are. You could also refer to the few designing tips below to gain more information on how you could improve your creative strategies in advertising your business. The Company Logo. This is simply used as the trademark of the company so that people will easily recognize the company products and services. You could refer to Best Company Logo Designs to be guided on how logos are designed. The Company Name. The company name in which people will be able to identify what the company has to offer and what are their purposes and objectives. The Company Slogan. The company slogan which is used as one of what strongly convinces the people to try out the company products and/or services. This is often used to persuade and capture people’s interest to make them want to purchase or avail what the company offers. Company slogans are often seen in advertisement brochures, billboards, flyers, and all marketing tools that are used in advertising the different company assets. The Services. With this part, people will be able to know what are the different services they can avail. They will also be able to easily determine if what they are looking for are found in that company. The Products and Quality. Of course, people would want to know if the products are legal and would not cause infections such as skin diseases or allergies. Although, there are companies which produce their own products and have them created with awesome product label designs. These are made sure that their products are permitted and are legal. The Service Team. A brief information regarding the team is also essential to know if they are licensed and are permitted to do such services. This is to make sure that companies are held liable to whatever actions their team or people do. For the company and customers welfare, it is made sure that the staffs who get the privilege to be with the team are the ones with successful backgrounds. The Prices of Products and Services. Not all companies include the prices of their services, but the purpose of this is for the people to know if the products and services are affordable and are at reasonable prices. Some companies would sell their products with their own personalized price tag designs. The Promos & Discounts. This surely is an eye catcher to every customer or clients since prices are decreased for how many percentage depending on the company. The Contact Information. This is what the people need when they look at flyers since with this information, they can inquire, reserve, recommend, give their feedbacks, and get updated with more information. This can build a bridge for communication between the company and the customers, consumers or clients. This information is also indicated on the company’s unique business card which can also be distributed together with the flyer. The contact information includes the company address, email and contact numbers (mobile or landline). 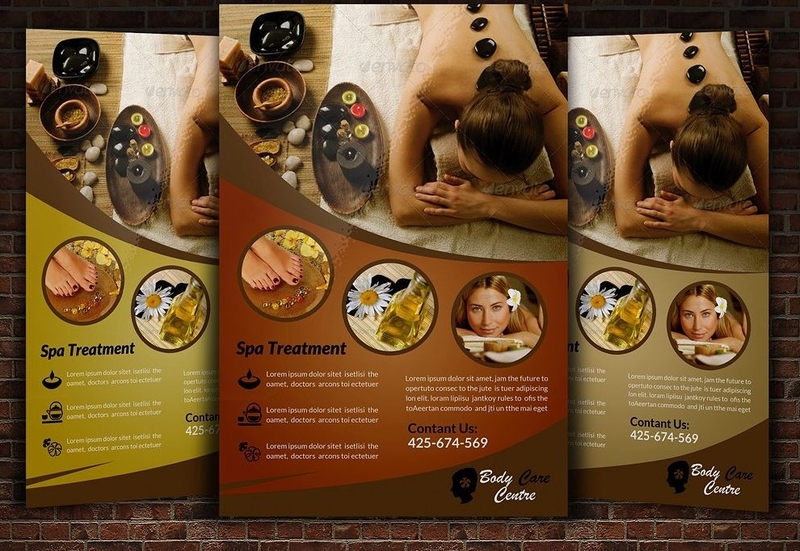 Flyers vary depending on the companies’ way of designing theirs. Not all these essential parts are always included in the flyer, but if you compare all spa, salon, and the like, they all have the same purposes and objective goals. And one of which is to offer the best services to their customers or clients to their greatest extent. Of course, spas are to promote physical fitness and health wellness by offering not just various of health treatments to each and every customers or clients, but also personal care. Spas allow people to indulge the greatness of what nature has to offer by the company’s provision of relaxation services with natural and healthy products which are rich in minerals. 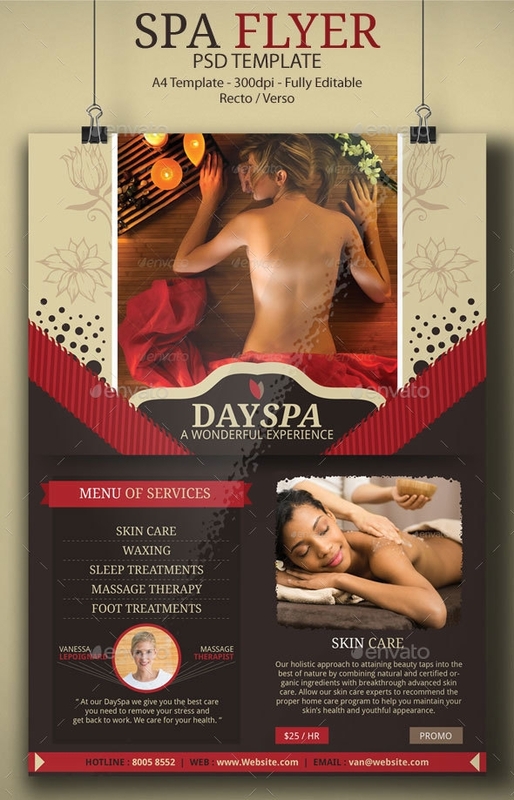 Another way of advertising spa services are with the use of spa brochures. 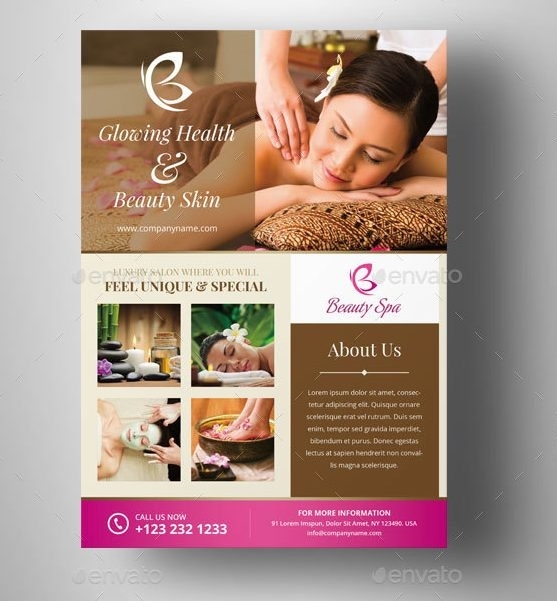 Here are few designing tips which you can use and apply to make a persuasive advertisement by printing flyers. Only include the essential details about your company. People would not want to read a very long description of whatever it is you include in the flyer. Feature the best services or best products in the flyer, preferably the ones that people usually purchase or avail every time they visit your company (the best seller products and best availed services). 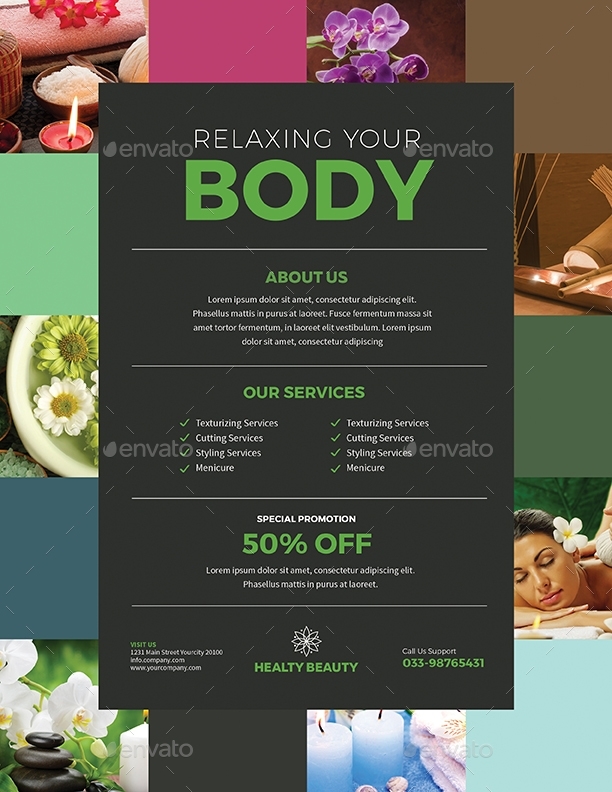 Make your creative flyer designs eye catching that surely catches the attention of the people because of its unique designs and catchphrases. 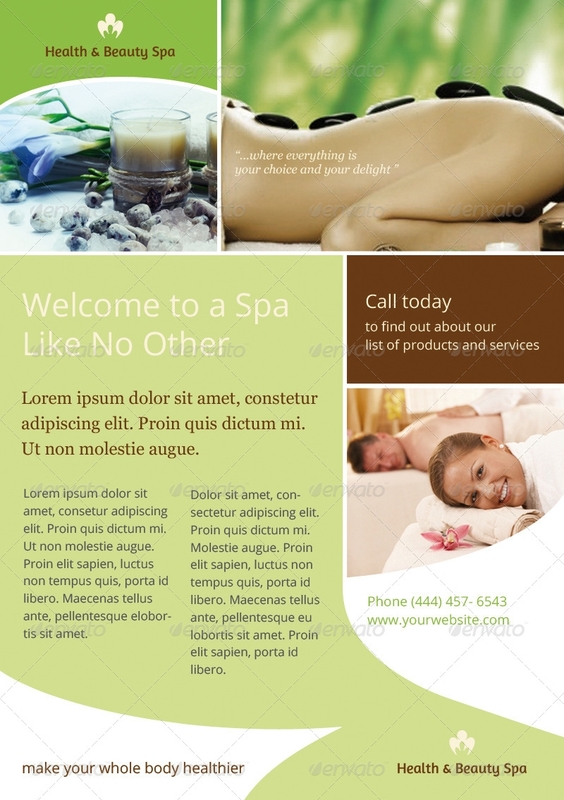 Create your flyers simple but elegant and attractive since these build the customers’ first impressions regarding your company, your products, and the services that you offer. Use high quality paper for your flyer print outs since these are delivered in just everywhere. Though, you do not need to spend much in creating one. Just enough to make sure it is durable and not torn easily. You do not have be a professional designer in making your flyer, you just need to be creative even in your own little way. Utilize the whole space in the flyer. Neither make it too crowded, nor too spacious. It is surely boring to look at an empty flyer with few words and it is undeniably messy to see with too much words that are not necessary. Use complimentary colors which will make the flyer look elegant and modish, preferably colors that would definitely match with the company logo and designs. Know how to lay out the essential information in the flyer, such as the services, descriptions, prices, etc. Have print outs of different flyer designs. 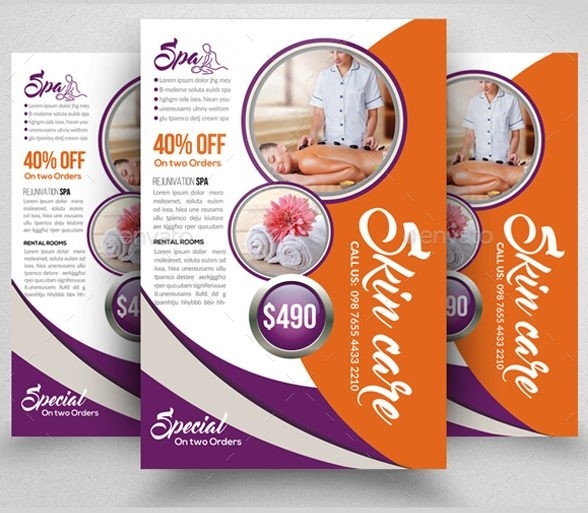 One way to attract customers is by printing your flyers with vibrant colors. Make use of different font sizes, styles, and colors especially to those wordings that could easily catch the attention of the people. Such as the company slogan and/or catchphrases. Make sure that words are visible enough by everyone, which means, you have to be considerate when it comes to font sizes. It is better that you follow a standard format. 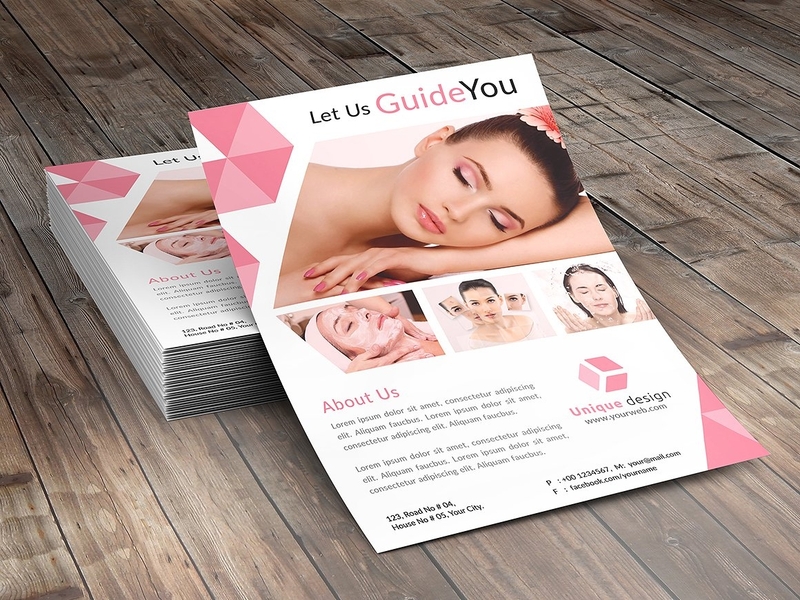 Having flyers as advertisement tool, you can get inspired by having creative advertising ideas that will surely promote your company products and services. This is easier to get in touch and to reach out to your target market, customers or clients. 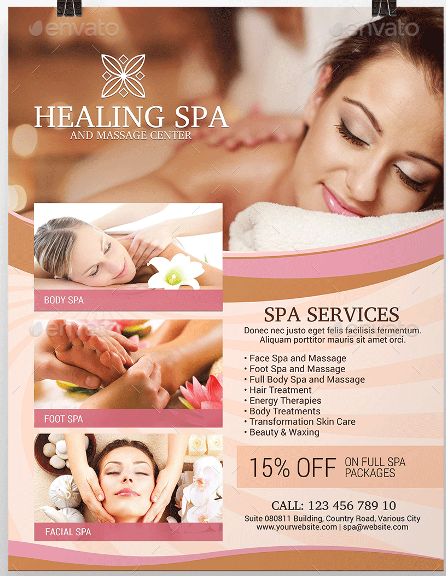 With flyers, the awareness of the people increases with regards to your company service promos and discounts. Printing flyers is the most affordable marketing tool that you could use in advertising. 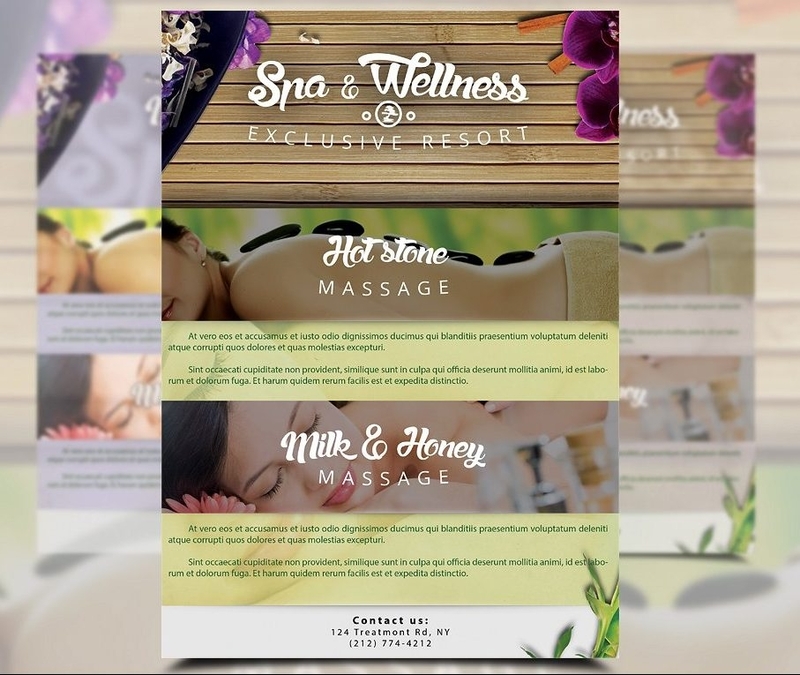 There is a great possibility that with the use of these potent flyers, the customers’ or clients’ attention will be caught and will make them intrigue with what you offer. These are best and beneficial since these are easily designed and produced because they are economical. It is easier to get contact with the potential customers or clients when these different flyers are handed out personally. With the flyers, it is guaranteed that people will be able to read them when they are handed out to them. With these flyers, customers or clients’ concerns and questions will be entertained immediately. You will be able to determine what is the most effective advertisement you are using, either online advertisement by posting to different social media sites or personal advertisement by having flyer print outs. The sad truth about flyers is that these pieces of papers are easily discarded once they are read by the random people who receives them, unlike advertisements on televisions wherein the products or services information are viewed over and over by the consumers, customers or clients. These flyers get thrown and are usually seen flying around in the streets when random people are not interested with it. Not all flyers create an impact on customer’s behavior or interest sometimes due to lack of information. 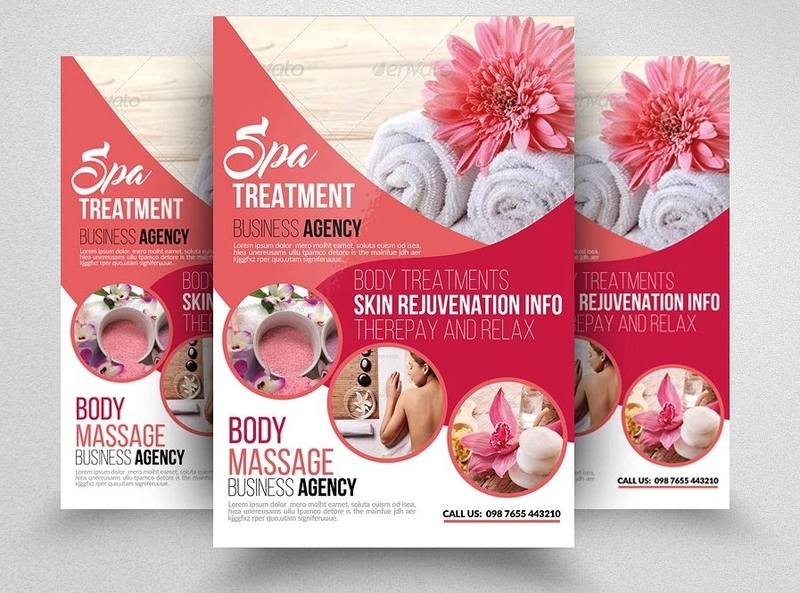 Though, flyers are still the most cost effective when it comes to advertisement and it is not much of a loss when people disregard these since the production of flyer print outs are inexpensive. One way to ensure that flyers will not go to waste, is by distributing them at the appropriate places. An example is when the company holds an event regarding their products or services at a certain place, these business flyers can be distributed right there and then to the attendees (assuming that they are interested otherwise, they would not be attending the event). The events held are known due to the elegant event flyers which are also distributed for the people to be aware of the upcoming event. Because people would want a place to relax, you have to make sure that your company is what they are looking for. And that their needs and wants will be met resulting to an increase of their satisfaction level and recommendations from their friends and relatives. Convince them with the use of your flyers as your advertisement tool. Technically, a flyer only displays a brief information about your company services, and further information are to be followed when people visits your place. Surprise your customers or clients beyond their expectations and surely your business will attain it’s performance level with regards to customer service among the business industries.